This is the first month that I am participating in the Crazy Cooking Challenge sponsored by Tina from Mom’s Crazy Kitchen. I thought it would be fun to try one of these challenges, but I didn’t realize how much work it really would be. 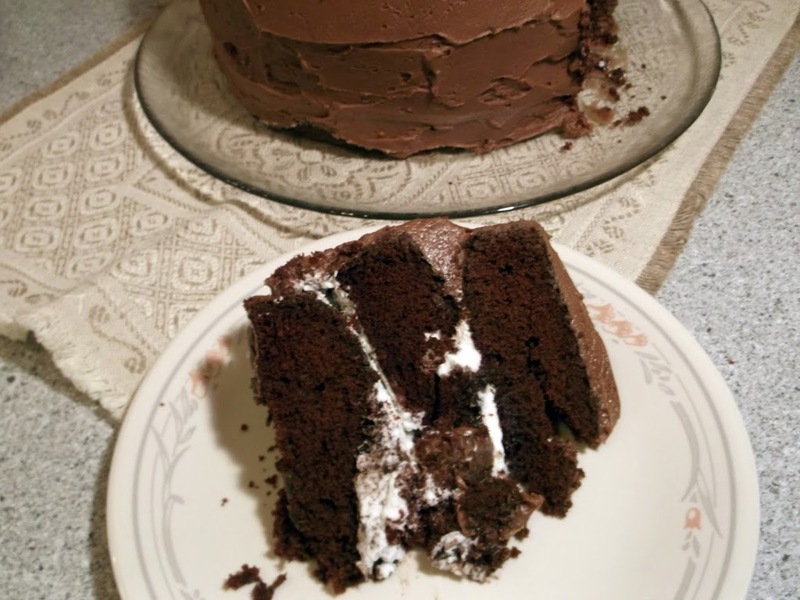 This month’s challenge was to find a chocolate cake on another person’s blog, bake the cake, and post about it. I looked at a quite a few blogs before I found the cake that I wanted to make. Finally I found the cake at One Perfect Bite. If you are a chocolate lover then this cake is a must for you to try. The cake is rich and very chocolaty, it has this whipped cream filling that I think goes wonderfully with the cake, and then there is the frosting. The frosting is almost like eating ice cream with this cake, YUM. 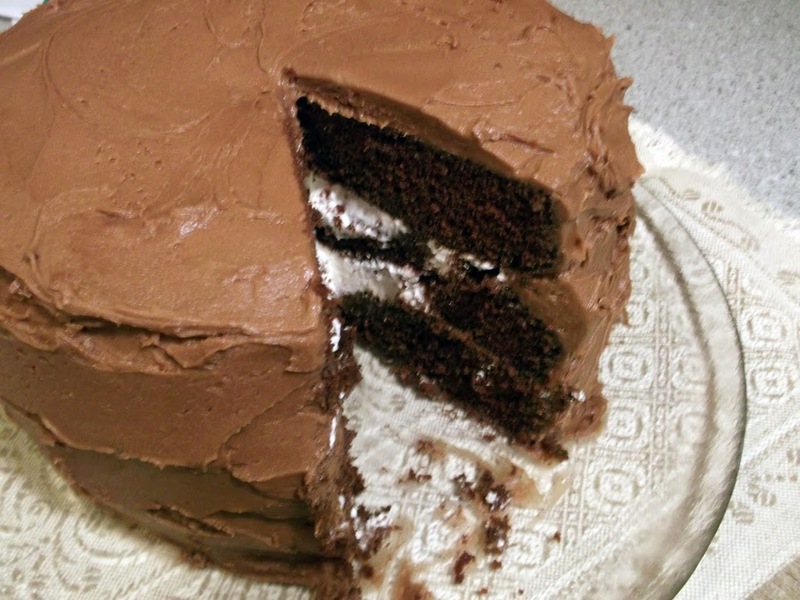 I have to say it one more time if you love chocolate you must try this cake… you will love it. The cake is not only two layers it is three layers, now I have never made a three layer cake and so I found it a little tricky assembling the cake. So when you look at my pictures the cake may not look perfect, but that was okay since it tasted lovely. Anyway I think the taste out weighs the way it looks. So please visit Mary’s blog at One Perfect Bite, you won’t be sorry. The name of her blog says it all, she has wonderful recipes and beautiful pictures. 1. To make the cake: In medium bowl, combine cocoa with boiling water, mixing with wire whisk until smooth. Cool completely. Sift flour with soda, salt, and baking powder. Preheat oven to 350 F. Grease three 9 by 1 1/2 inch layer cake pans. Grease and lightly flour pans. Set aside. In a large bowl with an electric mixer at high speed beat butter, sugar, eggs, and vanilla, scraping bowl occasionally, until light,. about 5 minutes. At low speed, beat in flour mixture (in fourths), alternately with cocoa mixture (in thirds), beginning and ending with flour mixture. Do not over beat. Divide evenly into pans smooth the top. Bake 25 to 30 minutes, or until surface springs back when gently pressed with fingertip. Cool in pans 10 minute. Carefully loosen sides with spatula; remove from pans; cool on racks. 2. To make filling: Whip cream with sugar and vanilla; refrigerate. 3. To make frosting: In medium saucepan, combine chocolate pieces, cream, butter; stir over medium heat until smooth. Remove from heat. With whisk, blend in 2 1/2 cups confectioners, sugar. In bowl set over ice, beat until it holds shape. 4. To assemble and frost cake: On plate, place a layer, top side down; spread with half of whipped cream. Place second layer, top side down; spread with rest of cream. Place third layer, top side up. 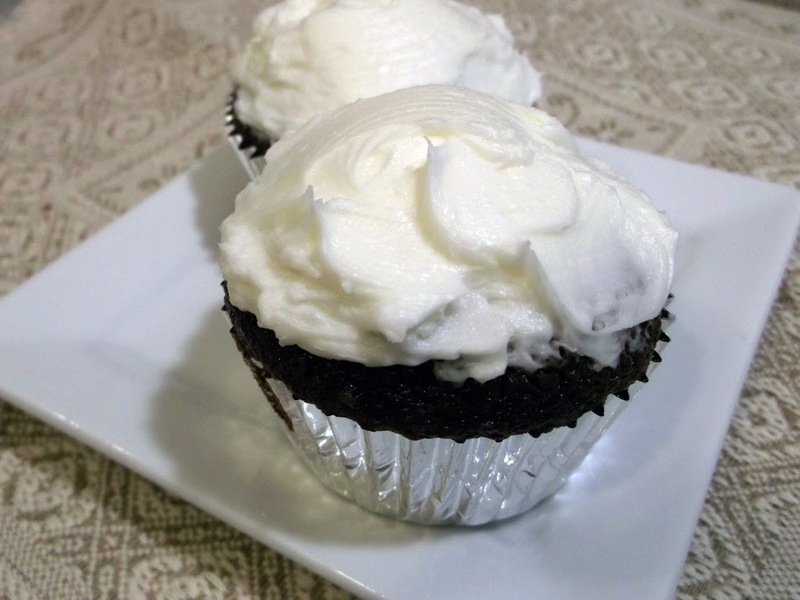 With spatula, frost sides, first, covering whipped cream; use rest of frosting on top, swirling decoratively. Refrigerate at least 1 hour before serving. To cut, us a thin edged sharp knife; slice with a sawing motion. 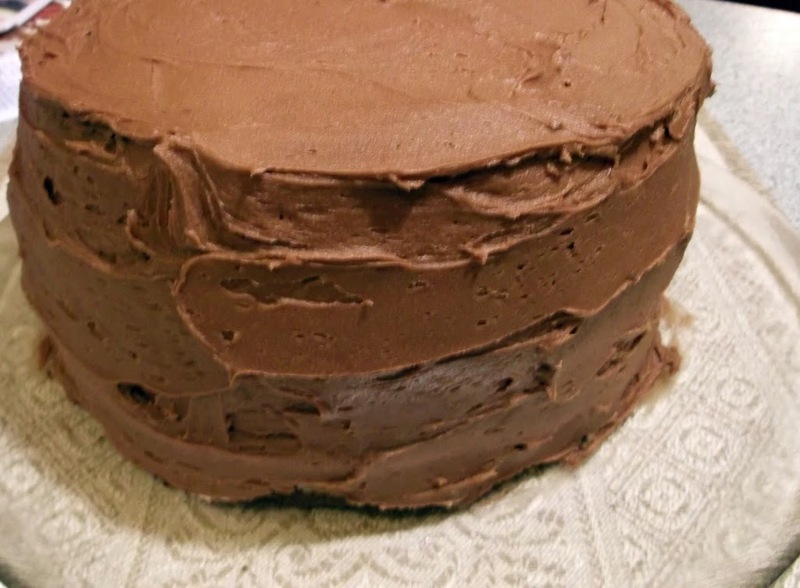 Note The cake should e refrigerated, but to prevent the frosting from cracking when cut, let the cake sit a room temperature for about 30 minutes before slicing. The other day I had a craving for something chocolate. You know the craving that won’t let you go. It is the one where it is all that you can think about until you break down and eat whatever you are craving. I decided on chocolate cake, because Mike is not the biggest chocolate lover, like I am. I surely didn’t want to over indulge too much, so by making chocolate cake I knew that Mike would help me eat it. To be exact I made chocolate cupcake, that way I could freeze some for a later time. Yes, these cupcakes froze nicely. When we took some out of the freezer a couple of days later they were as tasty as when I had first baked them. This is always a good thing. I love making cakes from scratch, when Mike and I first got married I only baked cake that way . I didn’t like to make cakes from a cake mix; I didn’t think they were as good as my homemade ones. Well then 4 babies came along and I didn’t have the time as I did before and the cake mixes started tasting better and better. Now that the kids are grown I am getting back into baking cakes from scratch. I found the recipe at hersheys.com. I guess that is quite obvious, since Hershey’s is in the name of the recipe. The reason I chose this cake recipe was it was different from anything I had made before in a cake. It had a cup of milk and a cup of boiling water. Now I have made cakes with boiling water before and cakes with milk, but never so much liquid. In fact Mike walked into the kitchen when I was filling the cupcake pans. When he saw the batter he asked me if I made the recipe correctly. The cake batter was more like soup than batter. I was amazed how well these cupcakes turned out. They were super moist and chocolaty. 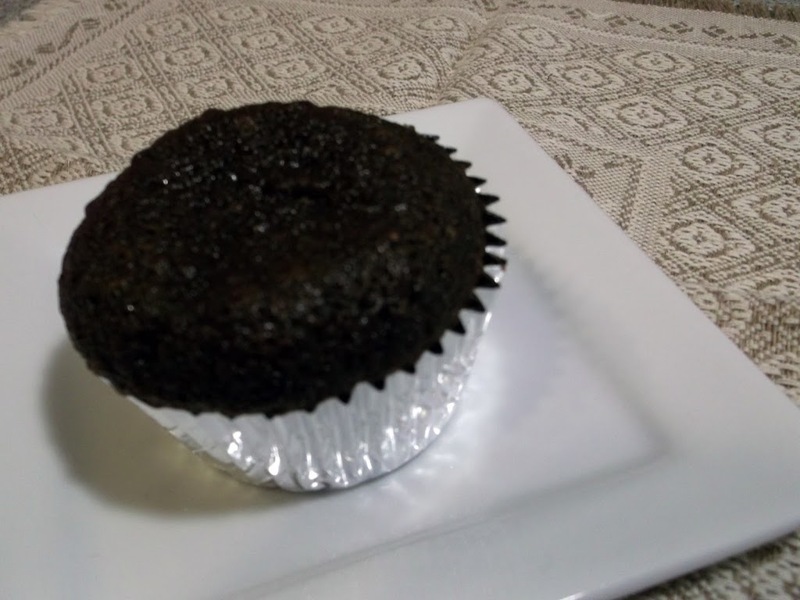 The name of the recipes says it all; these cupcakes were the “perfectly chocolate” chocolate cake. 1. Heat oven to 350 degrees F.
2. Stir together sugar, flour, cocoa, baking powder, baking soda, and salt in large bowl. Add eggs, milk, oil, and vanilla; beat on medium speed of mixer 2 minutes. Stir in boiling water (batter will be thin). 3. 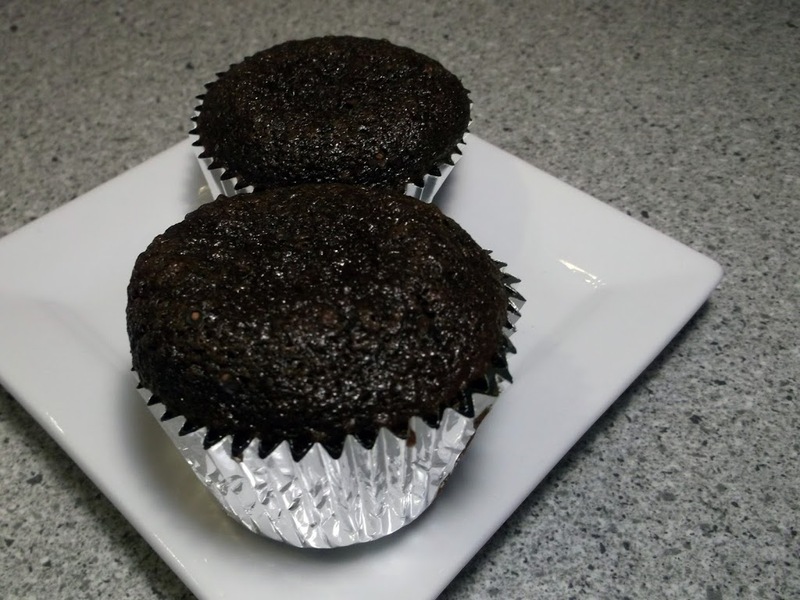 Line muffin cups (2 1/2 inches in diameter) with paper bake cups. Fill cups 2/3 full with batter. Bake 22 to 25 minutes. Cool completely. Frost. Makes about 30 cupcakes. Two round baking pans: Grease and flour two 9 inch round baking pans. Bake 30 to 35 minutes or until wooden pick inserted in center comes out clean. Cool 10 minutes; remove from pans to wire racks. Cool completely and frost. One-Pan Cake: Grease and flour 13x9x2 inch baking pan. Pour batter into prepared pans. Bake 30 to 35 minutes. Cool completely and frost. Bundt Cake: Grease and flour 12-cup Bundt pan. Pour batter into prepared pan. Bake 50 to 55 minutes. Cool 15 minutes; remove from pan to wire rack. Cool completely and frost. I frosted the cupcakes with a butter cream frosting, which I will feature on my next post. 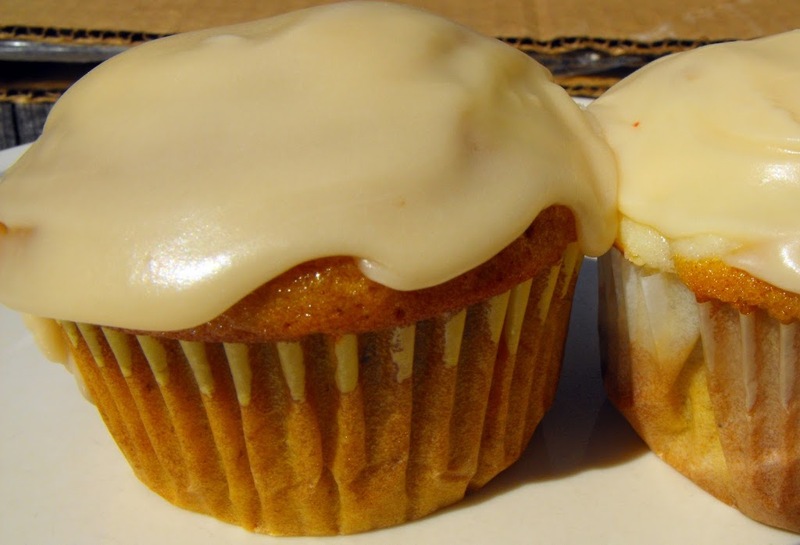 Pumpkin cream cheese cupcakes, the perfect fall dessert. It is the time of year that I love. The cool crisp air in the mornings. The leaves that will soon be turning colors. The slower pace of life after the busy pace of the summer months. But one of my favorite things is the flavors I think of when I think of fall – apples, pumpkins, and spices like cinnamon, cloves, nutmeg and the list goes on. Fall just seems to be the right time of year to bake those spice cakes, apple dessert, and pumpkin desserts. 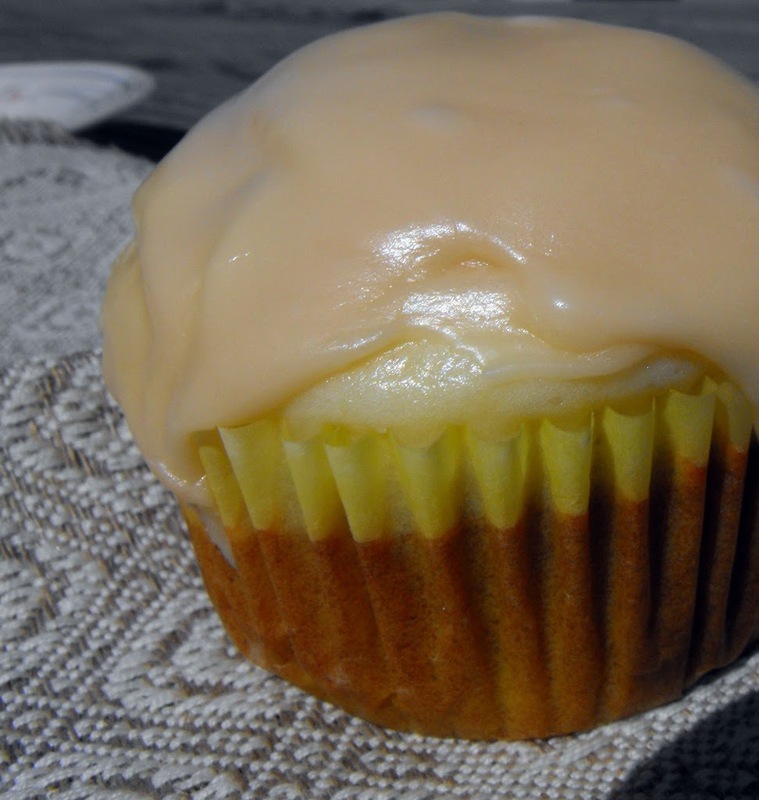 I came across a recipe in a Kraft magazine that was for a pumpkin cream cheese cupcake. When I saw the recipe for pumpin cupcakes the title drew my attention, but after reading the recipe I saw that it called for a cake mix. I had my mind set on making a cake from scratch so I decided to make my own version of this recipe, but with a cake batter made from scratch. The cake was very moist and I loved the combination of spices that were in the cupcakes cinnamon, ginger, nutmeg, and cloves. The spices gave the cupcakes a lovely flavor. The cream cheese filling stayed at the top of the cupcakes even though I swirled the mixture into the cupcake, which was a disappointment. The next time I make these I would put the cream cheese filling in the middle by putting some of the cake batter in to the liner and then some of the cream cheese filling and then top it off with some more batter. I think that this would work out much better. The Carmel frosting topped off the cupcakes quite nicely. It complemented the pumpkin and the spices that were in the cupcakes. Sift the all the other dry ingredients together and add to the mixture and mix for about 2 minutes. Blend in sugar, egg, and vanilla. Fill the cupcake liners about the 1/3 of the way full. Spoon a heaping teaspoon of the filling over the top of the cake mix. 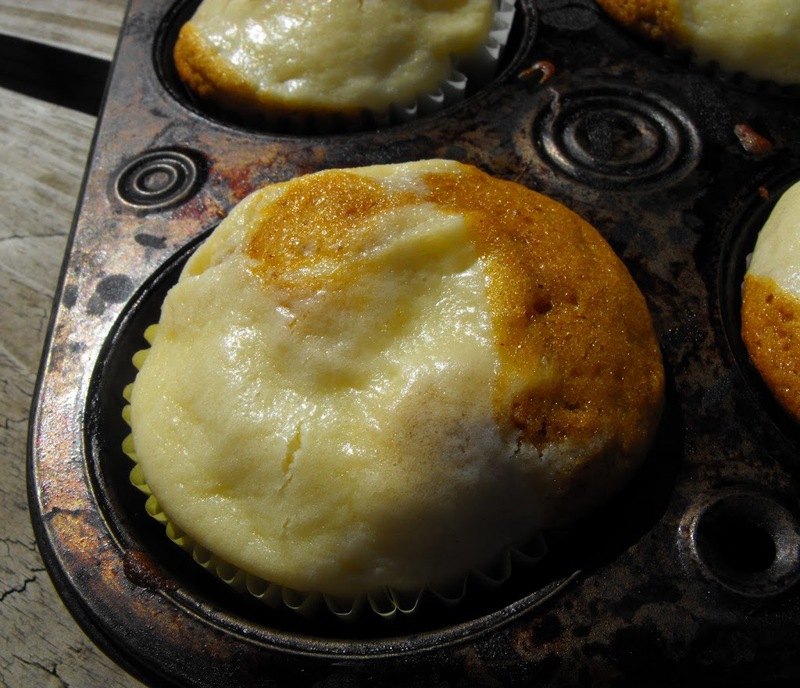 Cover the cream cheese filling with enough cake batter so the cupcake liner is about 2/3 full. Bake in a 350-degree oven for 20 to 24 minutes or until a tester is inserted in the center and comes out clean. Add brown sugar and cream and bring to a boil. Boil for about a minute stirring constantly. Add powdered sugar until it is the right consistency to spread.